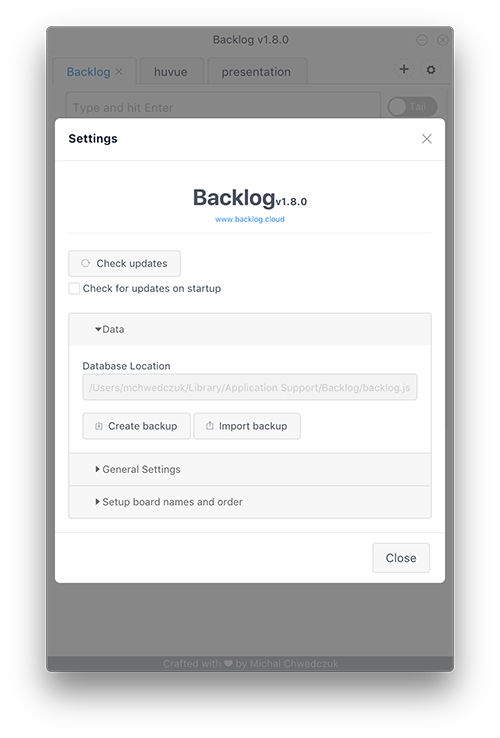 Simple multiplatform desktop app for storing TODOs, ideas or backlog items. 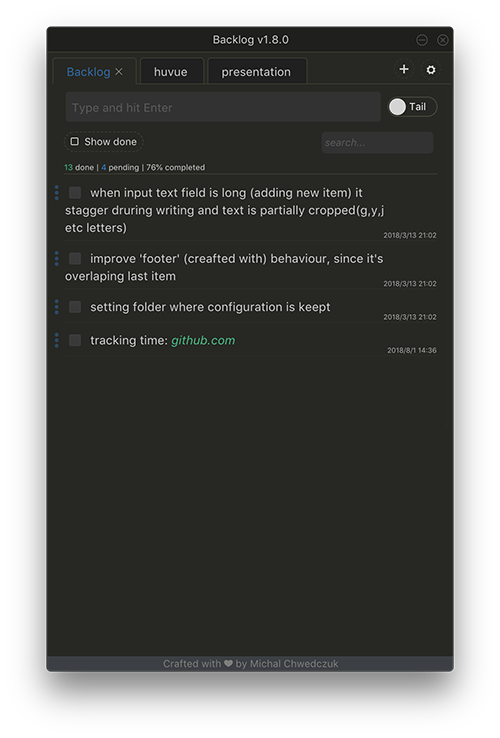 You can organize them with boards as a plaintext or markdown. No dependencies, no internet connection required, no external accounts. Sleek flow. 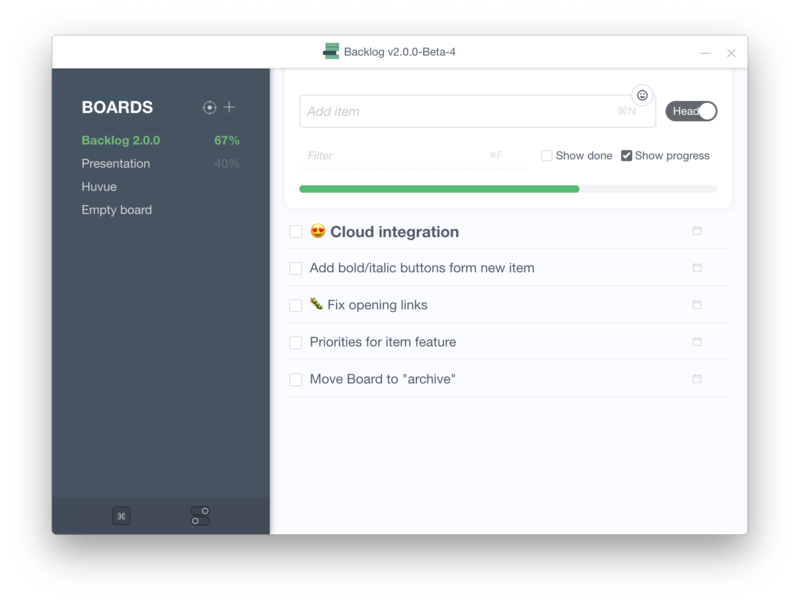 New 2.x version introduces a lot of new features including new UI, configurable keybindings, search item feature, emoji, and a lot more! Check it out ! When new version is available just download it, unzip and enjoy. No additional action is required. All your boards and items will be available. 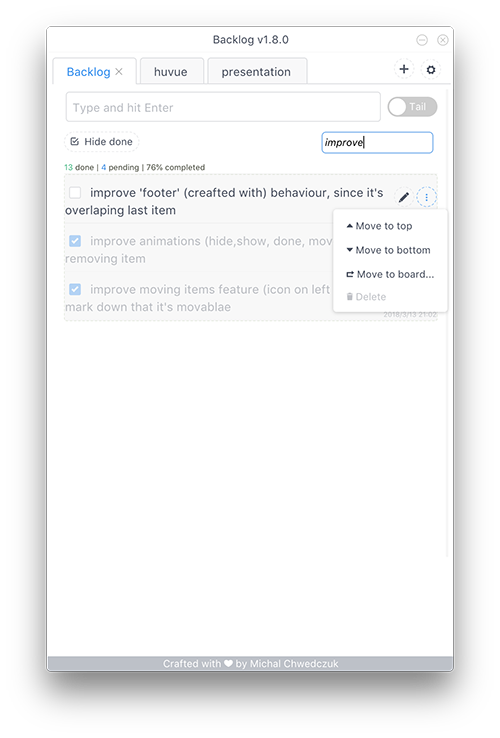 This is another huge update with number of significant improvements/features added. Hopefully it will stay for a longer. Why I&apos;ve wrote it ? When programming I often have a number of ideas related to possible improvements for the future or a cool new project. Most often, it&apos;s just one sentence or a couple of words - just a draft of an idea to expand in the future. 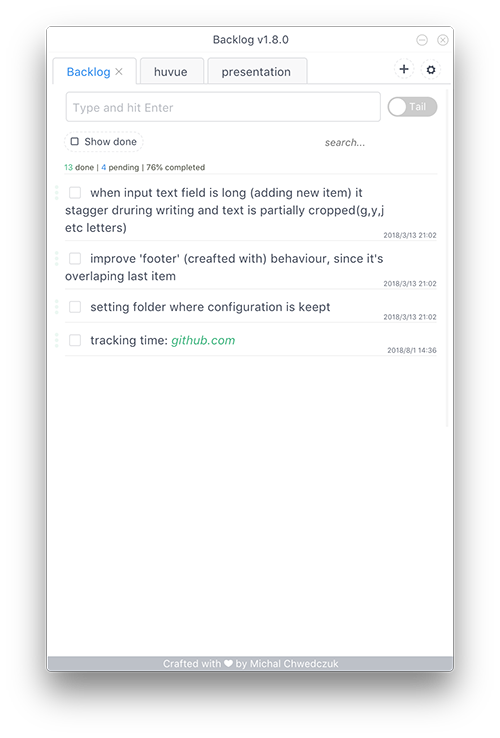 I know that, there are hundreds of todo list managers or other notes manager, but this one will finally perfectly fulfill my needs. So far I wrote my thoughts on sticky notes, I tried Evernote, Simplenote... They are fine, but all of them were either bloated with unnecessary features or lacked the desired "flow" - when I open a program I want type down thoughts, hit enter, and get back to my actual work. That&apos;s how I write Backlog. No dependencies, no internet connection required, no external accounts etc.